I’ve been making magic wands and laser engraving fun magical quotes on them. “You had the power all along, my dear.” Glenda the Good Witch, or “I put a spell on you, because you’re mine.” Screaming Jay Hawkins, or my favorite,“I speak for the trees, for the trees have no tongues.” The Lorax. 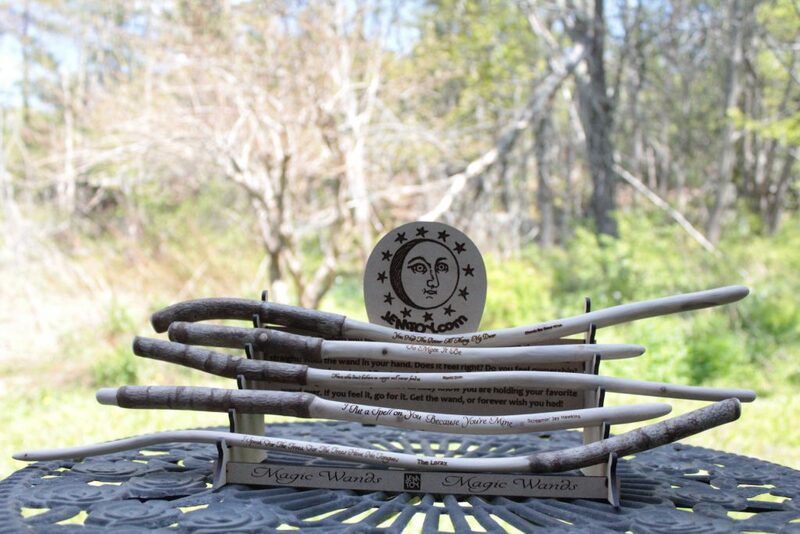 JEMTOY magic wands are on display all summer 2018 at my favorite curio shop, Alder & Vine in Belfast, Maine. I have been making wands since the early 80’s, so it’s nice to be at it again. I dropped off a ton of magical pendants, pentacles, sigils, and seals. If you’re up this way and want to add a little magic to your day, be sure and check ’em out. Alder & Vine have a ton of fun stuff to see, a lot of it hand made and exclusive by me! Poke around and find something unexpected. I have been an art teacher since 1984, so it comes naturally to me to share what I know with others. Whenever I am in the art studio making stuff, I enjoy photographing the process from start to finish. Way back I remember wanting to make toys of my own before I knew exactly what materials to use, and where to find them. It’s been a crazy journey. These days there are so many different silicone mold making supplies and urethane resins I had no idea where to start. When materials cost hundreds of dollars, it can be very intimidating if you are not sure what to order, how to use it, and if the materials will be compatible. Yes… I made lots of mistakes, but that’s how it goes in the art room. To be an artist, you have to be comfortable with failure to get to any success. When compiling the photos included in my How To Make Resin Toys book I realized that it took over three years and thousands of dollars of materials to make this book. Each resin toy represents days of making the original art, casting a silicone mold, tinting and pouring resin, painting, finishing, header cards, and packaging. It’s a very involved process with many steps to master. When I first set out on my own I could not find a book to help out the beginner, so I decided to make that book myself. I self published the How To Make Resin Toys book on Blurb.com in 2013, and after my dear friend Louis Bou mentioned my book in his book, We Are Indie Toys, sales went through the roof. I noticed that most folk want the download over the printed book for several reasons. First the download is instant. Another benefit is that it is easier to look at one’s iPad or iPhone than struggle with a paperback book that wants to close while working in an art studio. After the success of my book I decided it would be good to get it on Amazon’s Kindle platform and offer it there. 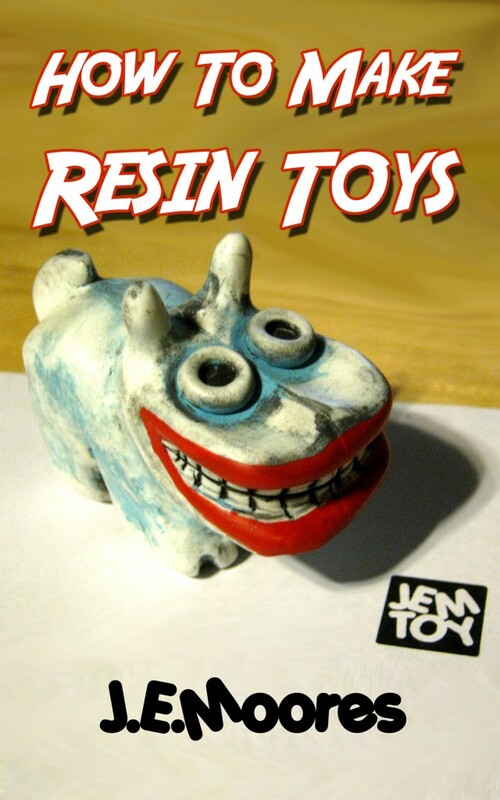 Now all you aspiring toy makers can snap up your very own copy of How To Make Resin Toys on Amazon or Blurb depending on which is best for you. The best part is, with the information in this book you can set up a resin toy studio for around $200 – $300 bucks and get started right away. You don’t have to make all the mistakes I did in order to get there. Super Cooper Berella is a good buddy of mine. I have been lucky enough to have been part of several of his art shows in his little home town of Los Angeles, California. We met in an on line forum through our mutual love of making paper toys. As fate would have it, I’m also a big fan of Barry from Storage Wars fame who just got his own A & E television show, Barry’d Treasure. 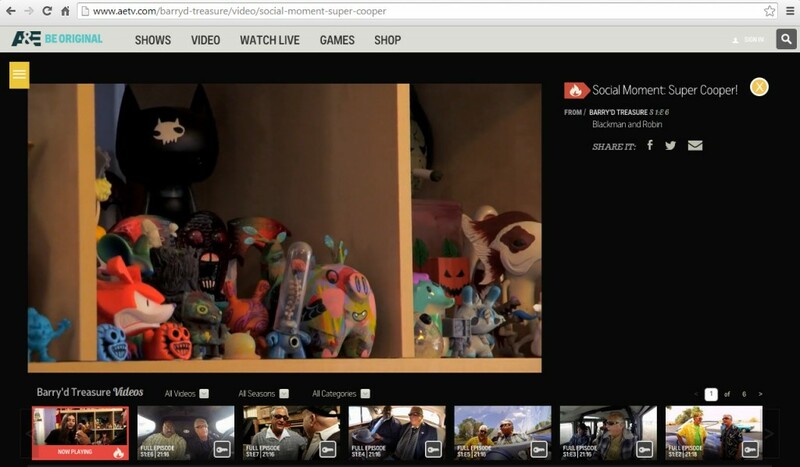 What a hoot it is to see Barry checking out Super Cooper’s massive toy collection, and a great honor to see my resin toys featured. My Bat Winged Gomper and a couple Swamp Boggers made it to the final edit. Thanks to one and all, and big hugs out to Cooper’s amazing mom, Johnny Berella for getting all the release forms and paper work in order to make it all happen. 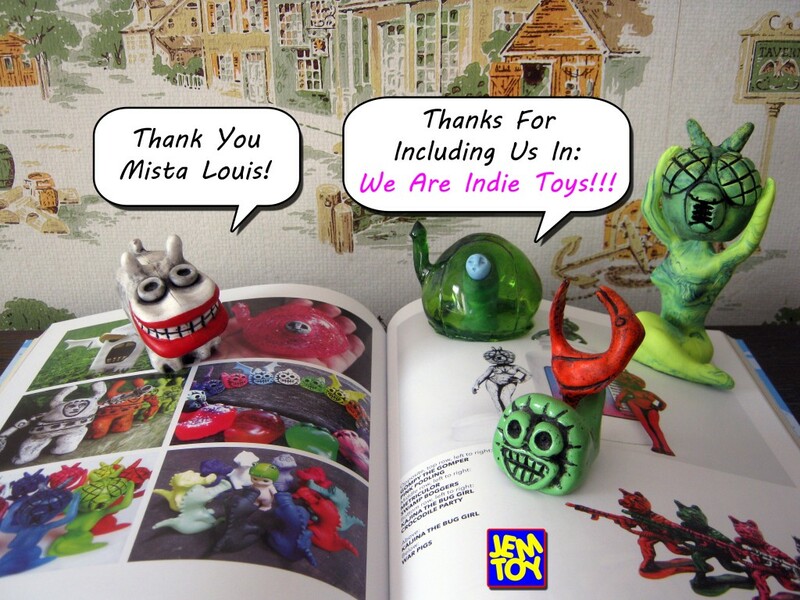 Thank you Mista Louis for including JEMTOY in your latest book, We Are Indie Toys! Because I am traveling again this summer FOE Store & Gallery will be handling my handmade resin toys. I shipped a giant box of over a years worth of art work to Jim at FOE. 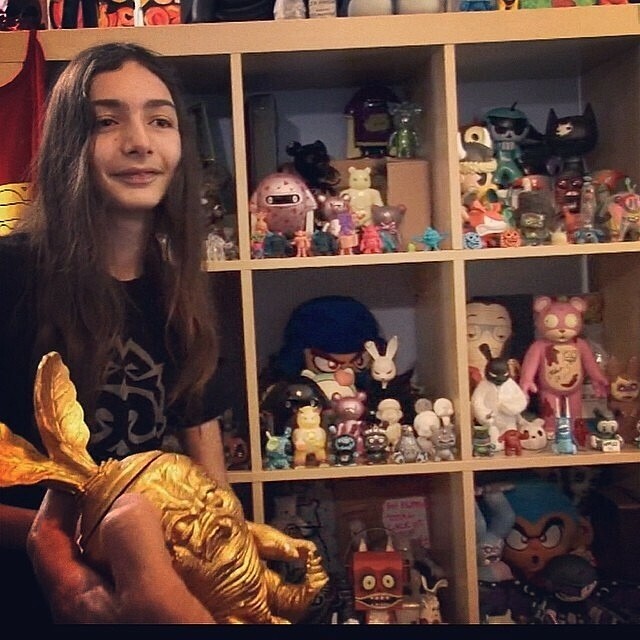 I sent a ton of stuff, like the very popular 5 inch Kaijina the Bug Girl toys in various colorways. 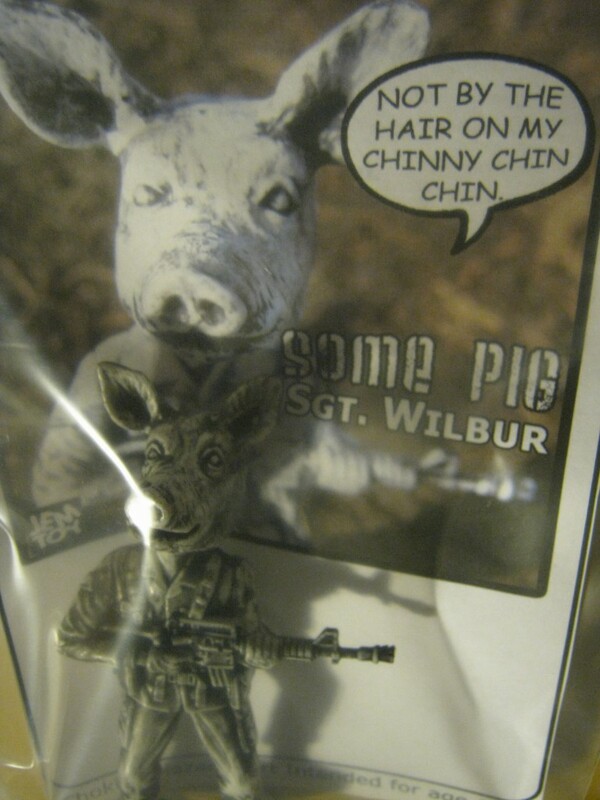 Also at FOE are my 5 inch “Big G.E.A.C.” toys named Sgt. Wilbur because everyone needs a big pig with a gun. I am moving from California back to Maine to work further on my Mythological Maine series called Yupapotamus Pond. 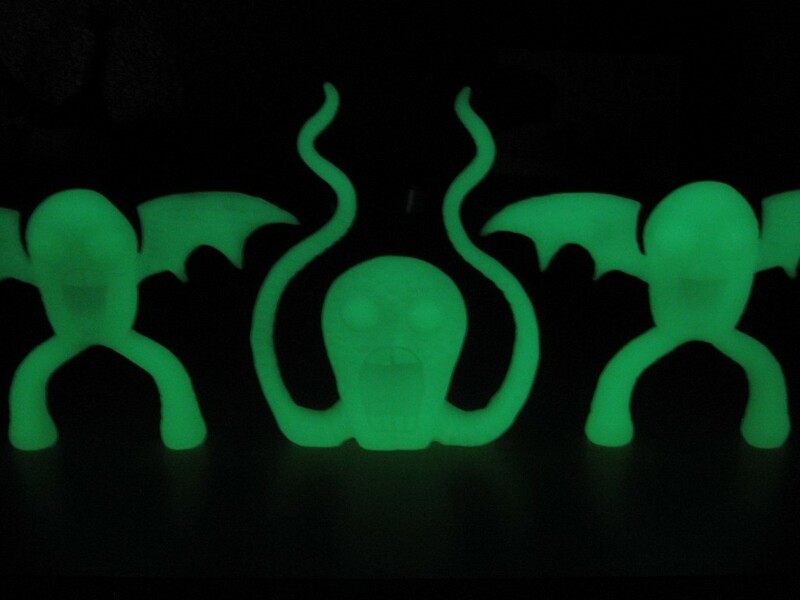 FOE has a couple play sets, and one is glow in the dark! Each set has a Yupapotamus, Swamp Bogger, and a Philly Lou Bird that are characters from old logging stories my grandfather used to tell me as a child growing up in Maine. The characters are old Americana from the North East, and many folk of the older generation know the tales of these and other strange critters that go bump in the night. My move to Maine is to work further on my research on these old stories. This project means a lot to me, and is very near and dear to my heart. For some reason it is so important to me to keep these stories alive, and I need to be back in Maine to do it proper justice. 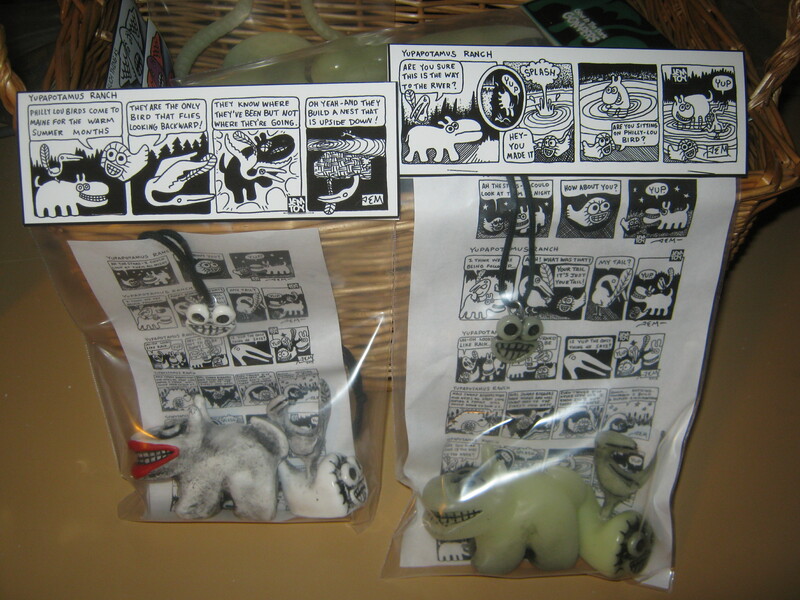 Each play set also has a Swamp Bogger necklace and comics! 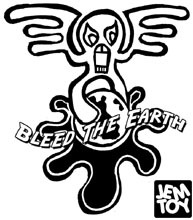 Also in that mighty JEMTOY box are GID Gompers, new G.E.A.C.s, some way cool two toned opaque/clear Stompin’ Gompers, and a bunch of other surprises. It will take them a while to photograph and get all of it up on their web site, so if you are interested in purchasing any of these items contact the folk at FOE and swing a deal or click here to see what JEMTOYs are available at the ShopFOE.com site. 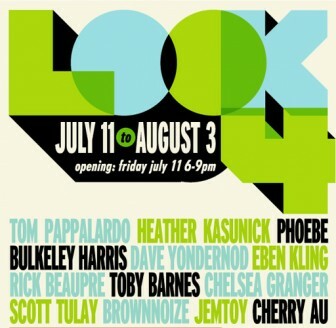 Even better, if you are in the Northampton, Massachusetts area drop by and have a look first hand. Ask Jim or Nicole if you can see the JEMTOY box before the best stuff is gone. I have a feeling it’s gonna be a great summer. Thanks again for your interest and support, J.E.Moores. He got out his snake! 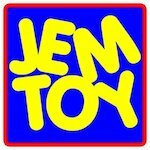 JEMTOY celebrates the Year of the Snake along with TOYSREVIL.